New Blog Sponsor and a GIVEAWAY! These are exciting times here at Daydreams of Quilts! I have a fabulous new blog sponsor to tell you about today! 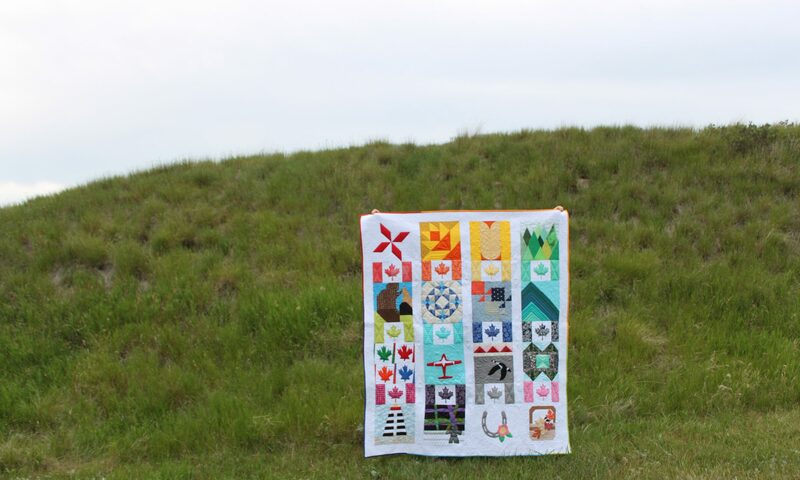 Country Clothesline is a Canadian online quilt shop where you can find the prettiest fabrics all in one convenient location. Sylvia has compiled a beautiful collection of floraly, vintagy, countryish, cute, pretty and just plain fun fabrics inspired by the countryside, farmhouses and the fresh breezes that run through our clotheslines. Today Country Clothesline is offering a gorgeous holiday fabric giveaway to Daydreams of Quilts readers. These fabrics speak for themselves but wouldn’t you just love to make something beautiful for the holidays with these? To enter to win please use the Rafflecopter below. If you do not have a Facebook account you can use your email address. (If you do not have a blog or are unable to comment for some reason please email your comment to me, using the envelope icon in my mason jars, and I will add your comment for you.) 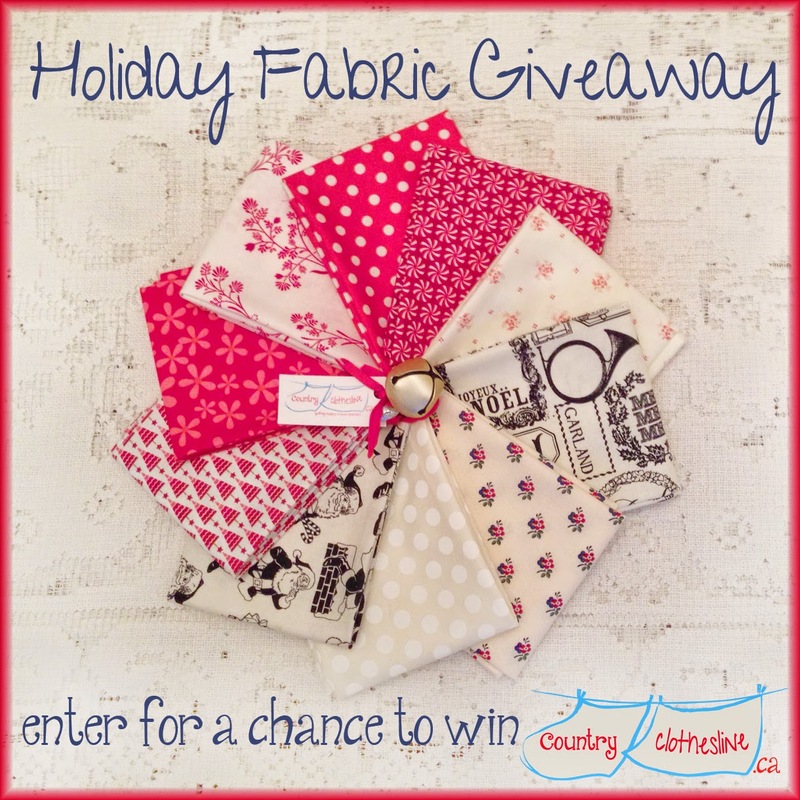 This giveaway will close at midnight on Wednesday December 3rd so Country Clothesline can get your fabrics out to you in time to sew up a Holiday project. If you can’t wait to see who won you know where to find these lovelies. The winner will be emailed and announced on the blog. So sorry for myself!! But I have also a giveaway for you guys from US and Canada! HI, I like "LuLu" ! I love the garden girl panel! Wow!! So many great fabrics! I am in love with the Santa fabric. I haven't seen it anywhere, here in the US or online. Woot! Congrats on the new sponsor. Lovely fabrics. Nice to have another Canadian shop to order from. Thanks for a chance to win these pretties. I like the Miss Kate's fabric collections. Thanks for the great giveaway. I love all the dots she carries in the shop. My favorites are Lost & Found Christmas and Lost & Found Christmas Santas. Thanks! Comment from Rina: It was hard to narrow it down to just one but Lovely Lavender is so pretty. thank you for the chance to win. seeing as i have Christmas on the brain…going to go with the lovely Christmas fabric! It is hard to choose from all the lovely fabrics- such a fun bundle but I do love Christmas fabrics and there are some especially nice ones there. Thanks for hosting this wonderful giveaway. I love LuLu line. Would be beautiful to redo my bedroom. So romantic. Wonderful selection of 1930s Repro fabrics, from Aunt Grace to Storybook Playtime! Thanks for the chance to win! I LOVE Handmade Noveltys! So cute! I love the dots and check bundle plus the Black and White Santa Print in the prize bundle! I like the lost and found Santas. Thanks for the chance to win. This bundle if fabulous – best holiday bundle I have seen in a long time. In their shop I like the 1930's repo fabrics – especially the cherries! thanks! I love roses and the Purple Roses really need to find a home in my stash. The Subtle Skys bundle is quite appealing. Ok I hope it works this time! I am trying with my blogging account. I am so glad that I found your blog via Instagram because of #prettypresentsswap I am also doing it. I am under Creationmamzelles That is the name of our shop on Etsy. Hum…that's funny the name that is written is my partner's name?! Lovely Lavender , that's for me! I really like the Lovely Lavender Bundle. I love the red checks and dot bundle! Thanks for the giveaway! I am in the Christmas mood now. So the Santa fabric. Thanks for the giveaway. I love Pretty In Pink. Thanks for the chance to win! Pretty in Pink is my favorite but the bundles are all quite lovely-fabrics are so well put together! Thank you for the giveaway and for letting me know about this shop! For my mom, I'd choose Isabelle Opal…I know she'd love it! I love blue ballet rose. Thanks for the chance to win this beautiful fabric! I love Miss Kate Blossoms. I loved Flo's Garden Woodland Scene. I definitely have more than one favorite. Gallery on Red is gorgeous! My favourite is Bijou Blue. Love the colour combo! My favourite is Heirloom Blue Skies. Looooove the "Subtle Skies Bundle"….soft sweet colors! Subtle Skies Bundle is my favorite! I like the colors. I love Home for the Holidays Trees! The first thing I saw was Olivia and it just blew me away! Thanks so much for the giveaway! I like that Garden Girl panel… it'd go great with my Wee Wander prints! This is some of the most cutest Christmas fabric I have seen this year! It is adorable. Just love it! Thank you for the giveaway opportunity – Happy Holidays! The Olivia Floral in yellow is so bright and amazing! I like Ms Kate by Bonnie & Camille. I like the Miss Kate, I also like that I found a new Canadian shop. It's great to know about another Canadian online fabric store!! Awesome selection of fabrics and at this time of year I am loving the Christmas themed fabric!! I love the Fleurologie Whisper, there are so many colors to match this with for a glorious quilt.